Are you a student wishing to seek advice from a more experienced individual in the aerospace community? Are you considering employment in the aerospace sector and want to gain insight and perspective from someone currently working in your preferred area of interest? CASI Connect provides a unique and effective mentoring opportunity for CASI Junior Members to interact with a seasoned professional in their field - these are the CASI Connect Advisors. It’s easy to sign up. Please complete the form below and CASI will try to set up a match. Your CASI Connect Advisor will contact you to arrange a 20-minute phone or Skype conversation. 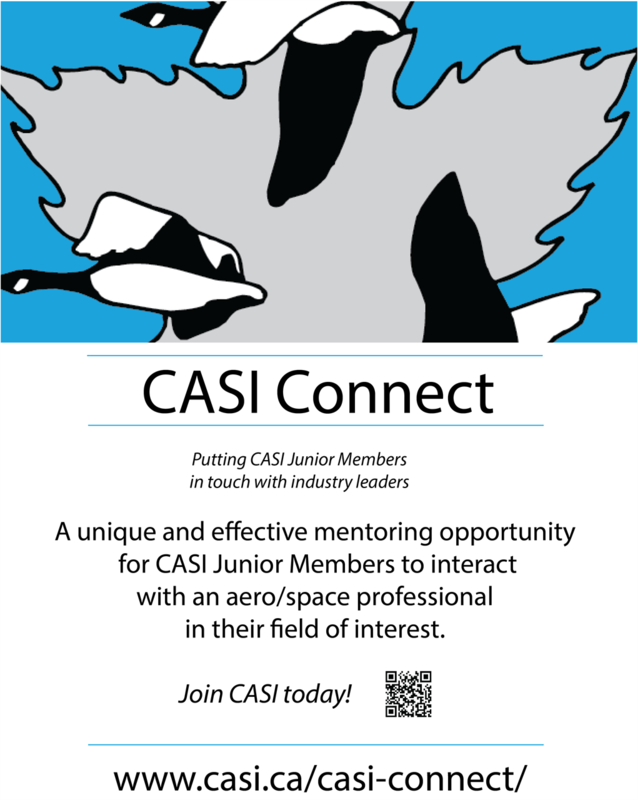 We are always looking for CASI Connect Advisors to help guide our Junior Members. If you are currently a CASI Member who would like to become a CASI Advisor, please click here to enroll. Download, print and post the CASI Connect poster at your school or workplace! To initiate CASI Connect, please complete the form below.